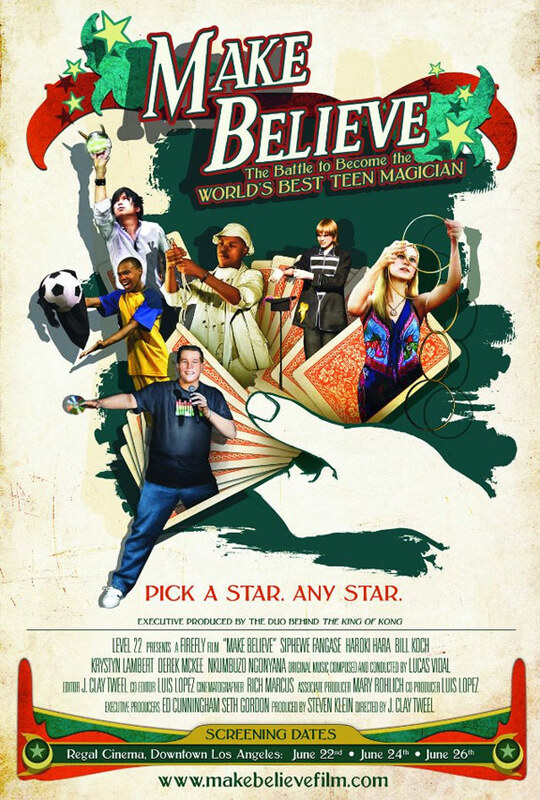 Krystyn Lambert, Hiroki Hara, Bill Koch, and a host of other pre-20’s magicians head to the Las Vegas Teen Competition at the World Magic Seminar inLas Vegas. Along the way we are shown how hard these kids work; they often practice five hours each day and in some instances they have to find magical objects among the sticks and brambles of their homes, like Hiroki Hara does in his Japanese village. It also shows how, when it really comes down to it, that these kids are as supportive of one another as their families are of them. I particularly loved all the interviews with local friends and fellow magicians of the contestants. Tweel is smart to give us what any good documentary on the art of magic truly needs to succeed–he gives us lots of tricks. We get to see the main players in the documentary perform their acts almost completely and we follow everyone right up until the announcement of the eight finalists, through to the third, second and first prize winner (I won’t spoilt it for you, but it is a tear-inducing moment), and then six months later to see what the kids are up to. This is a brilliant documentary on a subject not tackled enough on film. “Make Believe” is a about kids with great big hearts working hard at performing amazing feats they love so much.